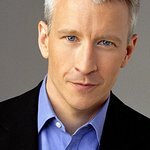 Worldwide Orphans Foundation (WWO) will honor CNN news anchor Anderson Cooper at its Sixth Annual Benefit Gala, November 1, 6:00 pm at Cipriani Wall Street in New York. Heidi Klum and Grammy Award-winning singer Seal will co-host the evening gala, which will feature a special musical performance by Seal. WWO is dedicated to transforming the lives of orphaned children around the world. The 2010 Gala theme is “…reaching out and reaching deep.” CNN’s Cooper will receive the WWO Honorary Orphan Ranger award in recognition of his in-depth reporting on Haiti and outstanding coverage of Haiti’s orphaned and vulnerable children in the aftermath of the catastrophic earthquake that rocked the island on January 2010. Special Guests attending the star-studded gala will include Hugh Jackman and Kyle Maclachlan. The mission of Worldwide Orphans Foundation is to transform the lives of orphaned children around the world by addressing their unique needs in their own countries through medical, developmental, psychosocial and educational programs. WWO programs are designed to nurture each child and provide opportunities for them to become healthy, independent, productive members of their communities and the world. Individual tickets are $1000/$2500 (limited availability), table packages begin at $10,000. Please visit Worldwide Orphans Foundation at www.wwo.org or call 973-763- 9961 for more information.